Everything in the universe consists of vibration. sound and music to connect you to the universe. Ten participants experience the Currell Effect using individual auditory displays. Christopher feels the vibration of the participants and through the improvised performance, he creates harmonics matching to the vibration, which allows each participant to personally connect to the universe and have their own hyper dimensional experience. How will your vibration resonate to the universe? When it happens, what will the universe bring upon you? The Currell Effect may change your world. having Christopher as your guide? Please contact for a private session. You can reserve a time slot to have a private session just for yourself or with your friends/family members. Please contact us for details. Benefits - Discount for Christopher's seminars, workshops and concerts. Invitation to an evening discussion groups. From JR Kichijoji Station North Exit: Take Seibu Bus (Bus stop No. 4, No. 5, No. 8) for about 10 minutes. 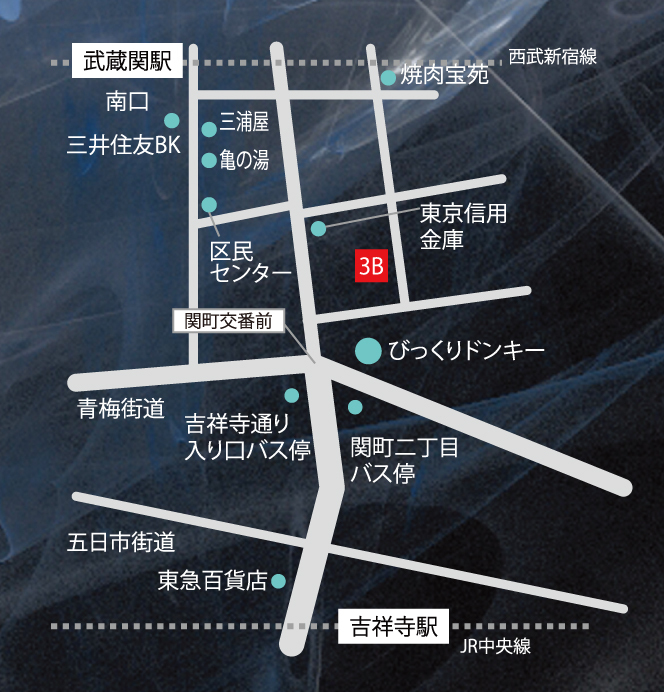 Get off at "Kichijoji Dori Iriguchi" and 5 minutes walk. Or take Seibu Shinjuku Line. 10 minutes walk from "Musashiseki" station. All the sessions are reservation only. Please submit your reservation form through our online reservation site (Japanese only). If you require an assistance, please contact us (see below). We will be using advanced auditory displays (headsets). Please kindly remove your earrings and make-ups around your ears. Also please no hair sprays. Thank you in advance for your cooperation.